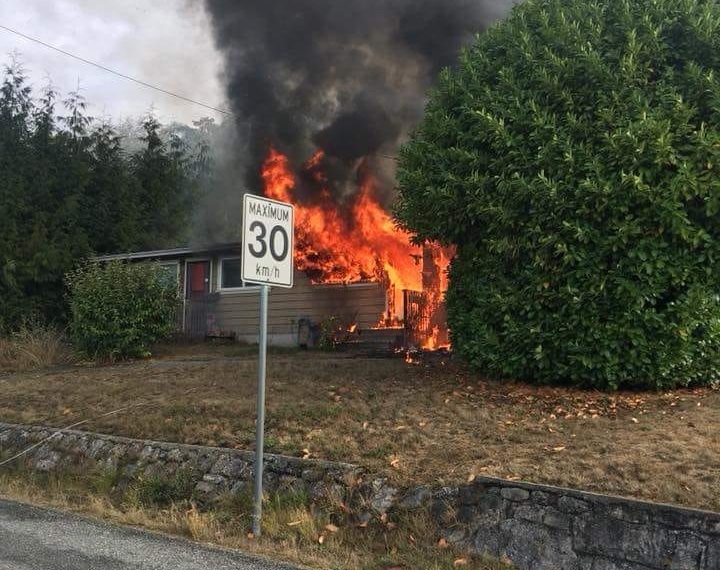 POWELL RIVER, B.C- A home in Powell River’s Townsite area has been consumed by fire today. According to the community’s fire department, firefighters are still responding to the blaze. 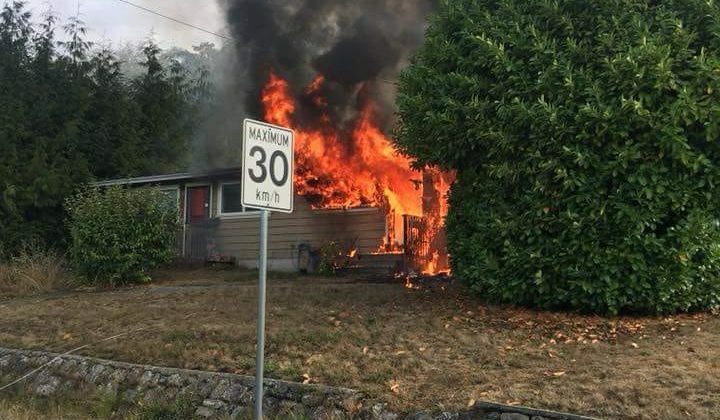 Multiple posts on local social media groups in Powell River have indicated that the fire was at a duplex building close to the intersection of Timberland Avenue and Willow Avenue, though exact information about the location and what occurred is not yet available. However, a photo believed to be of the blaze has shown a large amount of flame consuming the structure. Official information on any injuries and damages is not yet available.